Our Group CBT Program’s mission is to help each group member thrive socially, psychologically, and academically by providing social-emotional skill-building and practice for children, adolescents, and young adults experiencing difficulty across various situations and life domains. We integrate developmental considerations with hands-on role-plays and exercises to teach children and adolescents to develop self-confidence and emotional regulation in challenging settings. Our groups begin as young as 5-years-old and range to young adults. We pride ourselves in tailoring each group to each group member’s age and developmental level, symptom presentation, and specific needs. Dialectical Beahvioral Therapy (DBT) – teaches DBT skills to improve emotional regulation and develop positive coping skills incorporating mindfulness and relaxation techniques. Positive Parenting – for parents of children with ADHD and/or mild to moderate behavior problems. Trauma Focused Cognitive Behavioral Therapy (TF-CBT) – for victims and relatives of victims of trauma; uses CBT techniques to understand and cope with trauma related symptoms. Social Anxiety Mastery & Skills for Success (SAMSS) – combines CBT skills for social anxiety and social skills training for kids, teens, and young adults; educates participants about the nature of social anxiety and will focus on identification and gradual, step-wise practice of each member’s challenging or anxiety-provoking social situations in a safe, collaborative, and supportive environment. 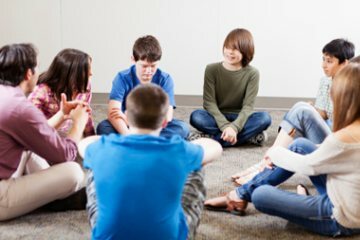 ​Our next round of SAMSS groups will begin Summer 2017, run 12 weeks at our Scarsdale program, and will be co-led by our Director of Group Therapy, Dr. Elana Dumont, an expert in social anxiety and social skills training groups with children, teens, and young adults. SAMSS is an expanded version of Skills for Academic and Social Success (Masia Warner, Beidel, et al., 1999), which has been shown to be an effective treatment for youth with social anxiety and social skills challenges. SAMSS is designed for youth struggling with social skills and/or social performance deficits (e.g., shyness, awkwardness, self-consciousness) when presented with social or evaluative situations, including speaking to new or unfamiliar people, starting or joining in on conversations, understanding and relating to peers, developing and maintaining friendships, public speaking or performing in front of others, class participation, calling or asking friends to get together, and communicating with others effectively. The groups will use an active, goal-oriented CBT approach to educate youth about the nature of social anxiety--how anxiety can be helpful and how it can sometimes prevent us from doing the things we want to do (e.g., making new friends)--and will focus on identification and gradual, step-wise practice of each youth's challenging or anxiety-provoking social situations in a safe, collaborative, and supportive environment. Treatment will also focus on identifying anxious thoughts and physical feelings (body signs) and will teach relaxation, behavioral, and cognitive coping skills to help prepare each youth when challenging social situations arise. Finally, the groups will emphasize the development and refinement of social skills, including perspective-taking, social problem-solving, effective verbal and non-verbal communication skills, and mastery of social shyness/discomfort through modeling, collaborative role-play, and in vivo practice. The group format is a key component of the group therapy process, providing an excellent naturalistic source of social support, real-time practice, sharing and normalization of experiences, and social skills-building with same-age and same-level peers.